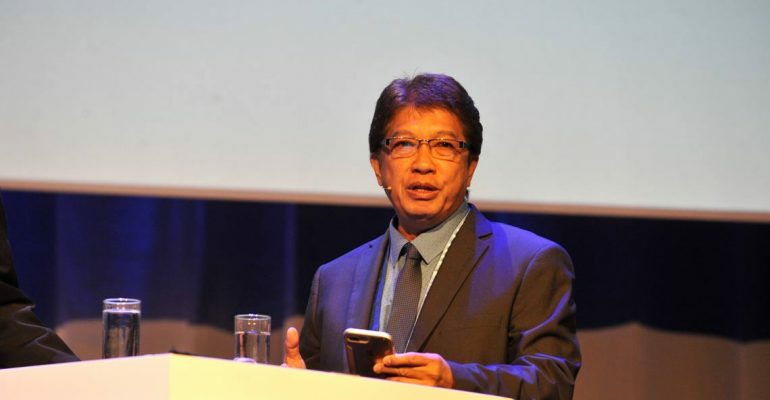 Those were the words used by mayor Rommel Arnado of Kauswagan when he addressed the annual congress of the Association of Netherlands Municipalities (VNG). As the mayor of the local government that won the first edition of the UCLG Peace Prize, he was in the Netherlands on invitation of the VNG to share his experience on dealing with conflict between different groups in his municipality. In front of over 2000 Dutch mayors and aldermen, mayor Arnado was interviewed by the host mayor of the congress René Verhulst of Goes Municipality. What was the effect of the winning of the UCLG Peace Prize on your municipality? Can other municipalities with different problems learn from your approach? How can other municipalities, such as Dutch municipalities, help you? To learn more about the Peace Prize and the From Arms to Farms project, please watch this short video.